A gift that brings a smile of delight and that anyone would appreciate. 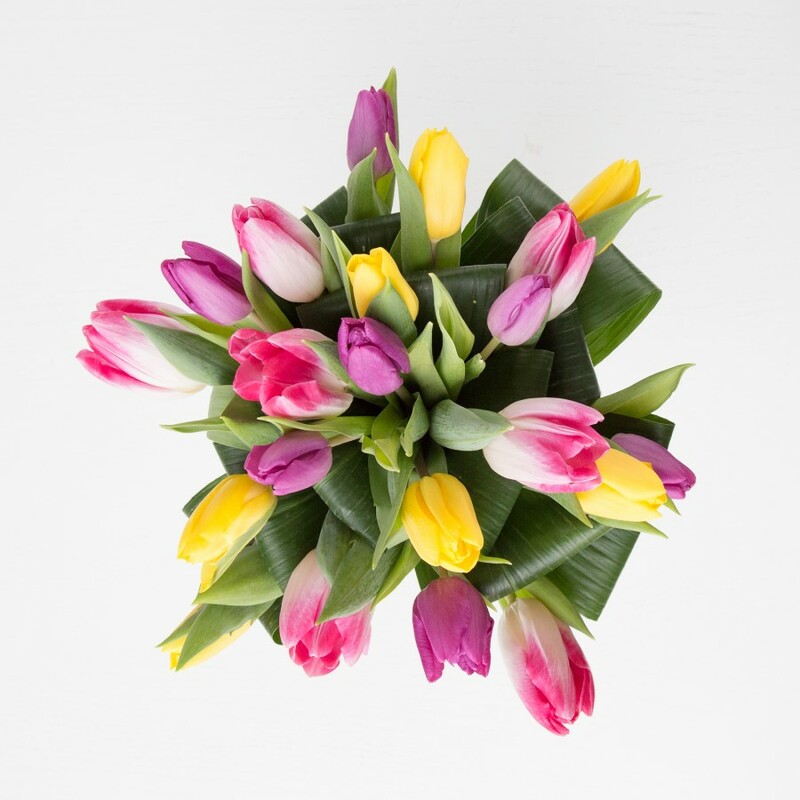 Bright display of rich purple, sunny yellow and pink spray tulips makes a wonderful gift. Original size bouquet pictured. Original bouquet contains 10 stems. I was super excited to see the flowers and they didn't disappoint me at all. I'm impressed with the service. Freshly cut flowers and lovely design. 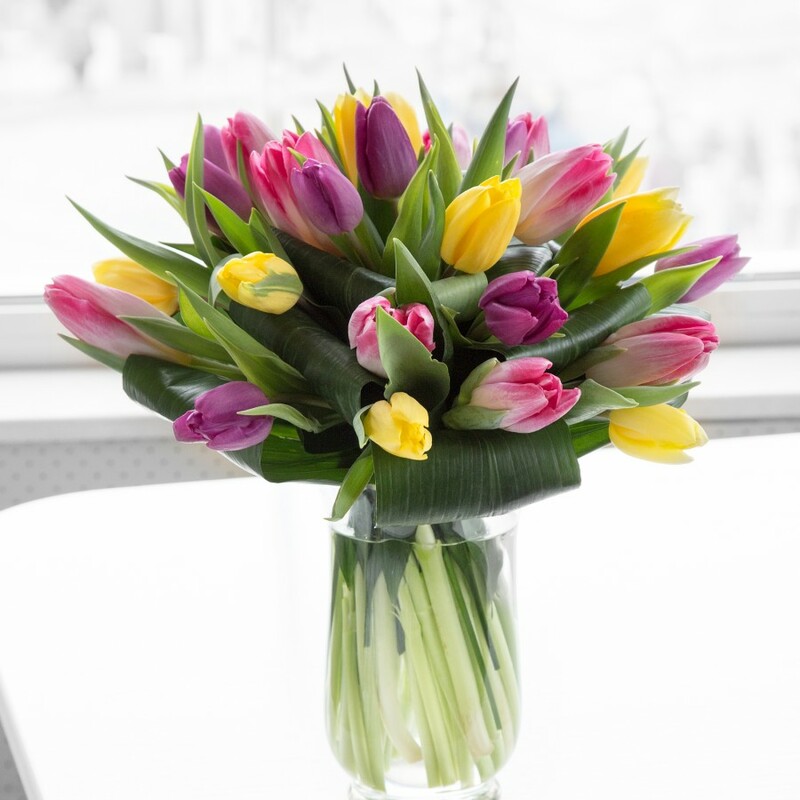 The perfect bouquet for anyone who loves tulips! My heart was filled with joy when I got this bouquet! Beautiful, fresh and fragrant! 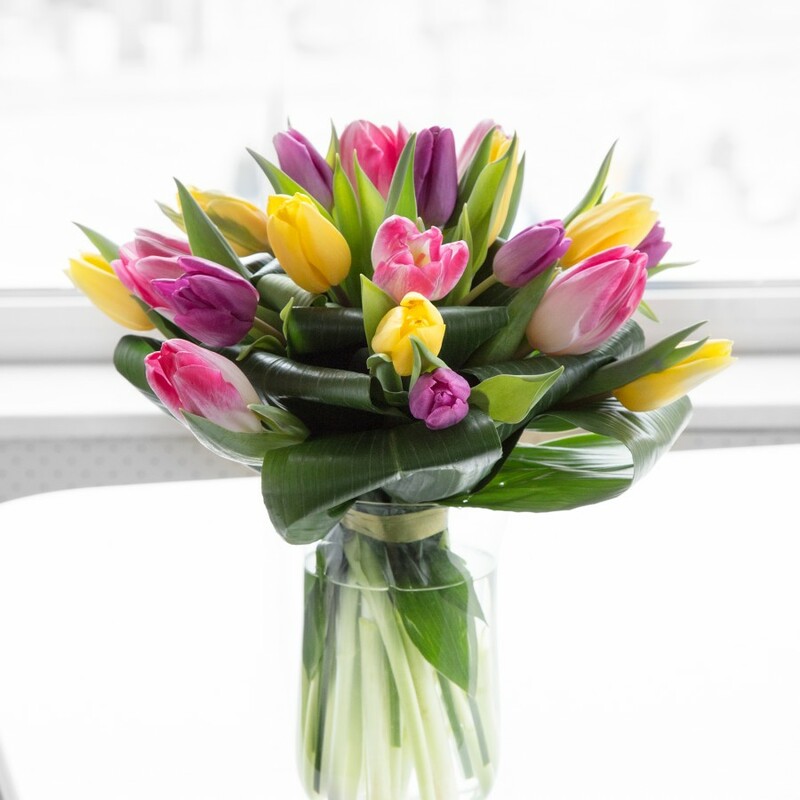 Ordered these flowers for a dear friend in Harrow. 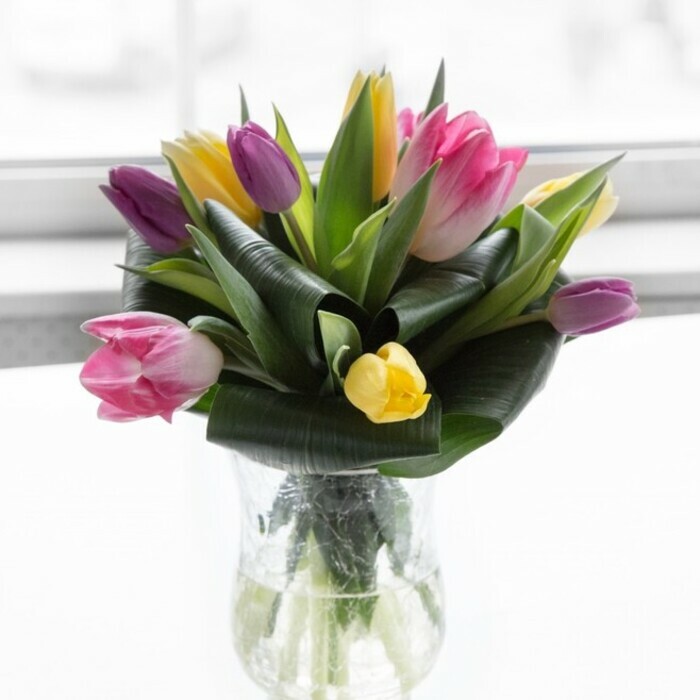 Tulips are the flowers that they fancy the most and they certainly liked them pretty much. Good job, guys! 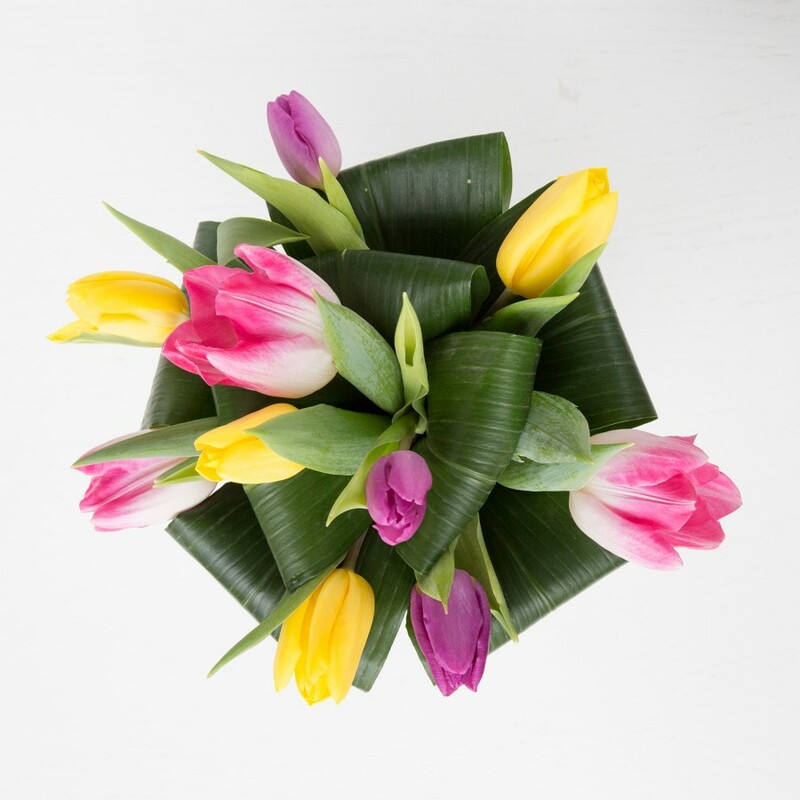 It was so easy to order flowers from this company that I was amazed at the very beginning. The variety of bouquets was also very impressing. From ordering to delivery, everything was handled very professionally! Thank you! The bouquet Handy Flowers delivered was picture perfect. Couldn’t have asked for better-looking flowers or a better price! Bought this marvellous flower bouquet from Handy Flowers. I just placed my order, marked my preferred delivery time and made the payment and the flowers were delivered the very next day. Top-notch service! Fantastic flower display! Joy is utterly sensational! I spent a lot of time picking out Joy as they were for birthday gift. My friend said they were perfect and she was really touched by the quality and vitality of the flowers. Really impressed with what we have received from Handy Flowers. 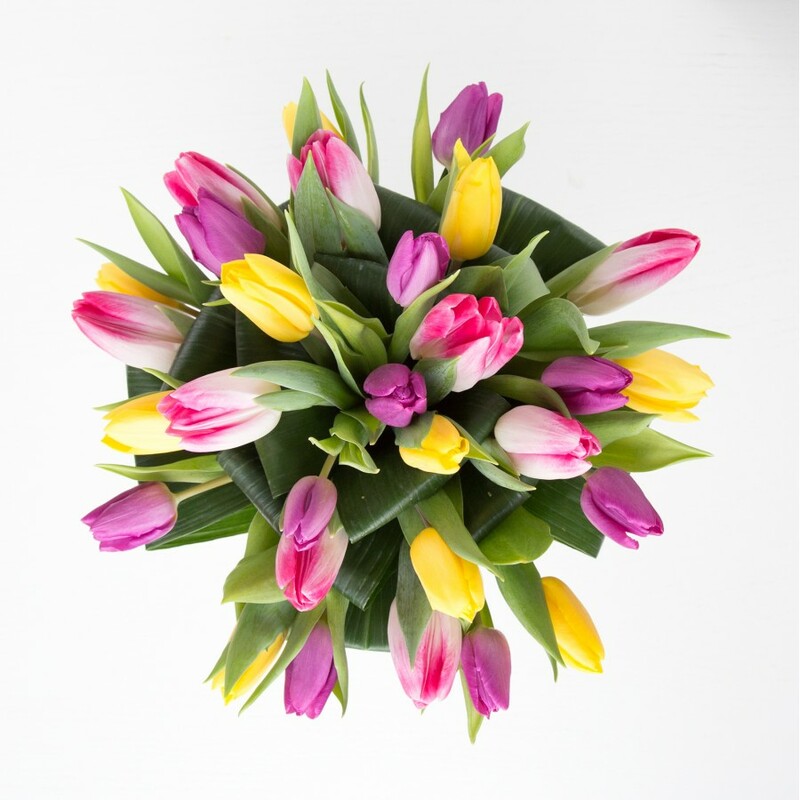 Order regularly for our clients and always get fresh flowers that are delivered when we ask. Excellent service at all times. Delivery was fast, condition was perfect and price was reasonable too. Very reliable service. Wanted the flowers delivering on a specific day and that is exactly what was done. Took the headache away from me. Ordered some birthday flowers for my friend and she sent me a picture when they arrived. They looked really pretty and fresh so can’t fault the service.